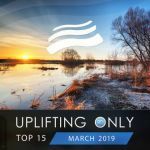 Here is the May 2018 edition of the monthly Uplifting Only Top 15 compilation! 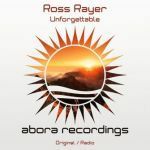 Once again Ori has personally hand-picked 15 of the very best tracks from recent episodes of his Uplifting Only radioshow/podcast, and here they are! This edition of the monthly compilation features music from Ahmed Romel, New World, Eric Senn, Type 41, Playme, Alternate High, Ross Rayer, Jeïtam Oshéen, InnerSync, Jericho Frequency, Emma Chatt, DreamLife, Laucco, AirLab7, Sergey Lagutin, Astrion, Attens, Martina Kay, and more!